How many times someone has copied something from your forum/blog/website? STOP! 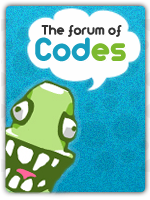 from now, if someone copy something from your forum automatically (s)he will have to put the original link! Cool or not? Basicly anything that consists of many variables that cannot be easly reproduced should have the creators name or some acknowledgement.